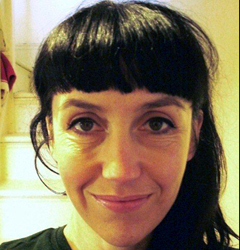 Corrina has been practising Iyengar Yoga for 15 years and teaching since 2007. She gained her Introductory teaching certificate in 2007 and has been teaching in and around Herefordshire ever since. Corrina trained with Advanced Level Teacher, Jayne Orton, at the Iyengar Yoga Institute Of Birmingham. She also attends weekly classes and seasonal intensives there to continue her professional development. She lives in rural South Herefordshire with her husband and their son. Husband Pete also qualified as an introductory Iyengar yoga teacher in October 2013. Corrina teaches classes at various venues around Herefordshire. Classes take place at Hereford Yoga Centre on Wednesdays from 10am–12pm and 6.30pm–8.30pm (intermediate level) and at Little Dewchurch Village Hall on Thursdays from 10.30am–12pm. Corinna also teaches at Cusop Village Hall in Hay-on-Wye on Tuesdays from 6pm–7.30pm and on Fridays from 10am–12pm (intermediate level). Pete teaches classes at Cusop Village Hall in Hay-on-Wye on Mondays from 6pm–7.30pm and on Wednesdays from 10am–12pm, and at Clifford Community Centre on Thursdays from 6.30pm–8pm.